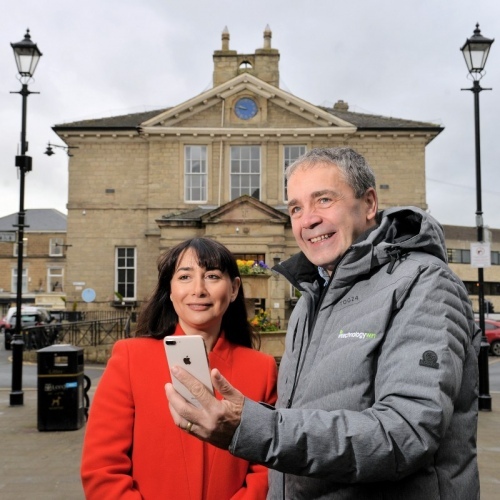 The new network, which has been installed around the town centre at “no cost to the taxpayer” (Leeds City Council supported the project by providing access to local street furniture), has been given the name (SSID) “_wetherbyfreewifi“. However Gigabit capable public WiFi is often a lot slower than the stated peak speed due to all the usual issues of shared capacity, end-user device limitations and signal quality etc. Apparently IntechnologyWiFi will also be providing its lifestyle app, Citi-Wise, featuring relevant local content about things to do and see in Wetherby. “We are delighted that IntechnologyWiFi is investing in Wetherby to increase our access to the digital economy. We appreciate that we have a charming, historic town and we like that, but equally we recognise that technology is always moving forwards and creating new opportunities for business and tourism. “Wetherby is a beautiful town with a rich history but internet access has been patchy which can limit opportunities in this digital age. MJ thanks. Very interesting business model IntechnologyWIFI are following. They appear to be very successful signing up councils and are growing. Although the free WIFI offering (councils appear to slightly differ) is primarily promoted as an outdoor service are there limitations to access i.e if you live in close proximity to a hotspot you could actually dispense with fixed broadband?.